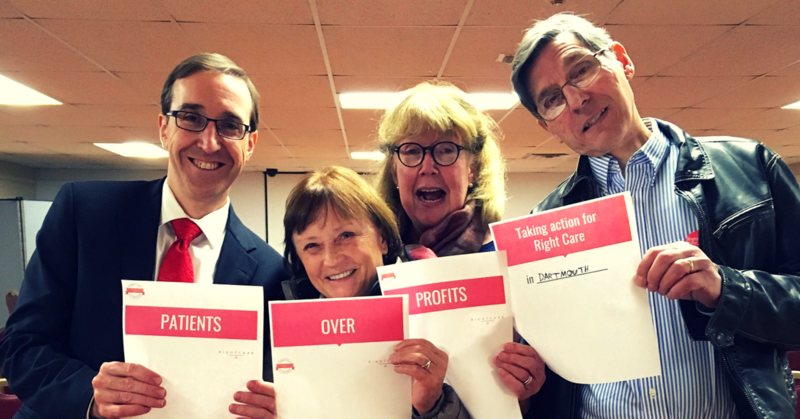 For Right Care Action Week, cardiologist and Right Care Alliance member Michael Rocha led a discussion about how to improve health care with fifty community members in Dartmouth, MA. Rocha organized the event in collaboration with Marching Forward, a progressive group from the south coast of Massachusetts. In a keynote address before the discussion, Rocha emphasized on the importance of doctors and patients working together, and the need to strengthen primary care. He compared medicine to youth sports – two arena where teamwork is given plenty of lip service, but individual actions are often praised more than real collaboration. 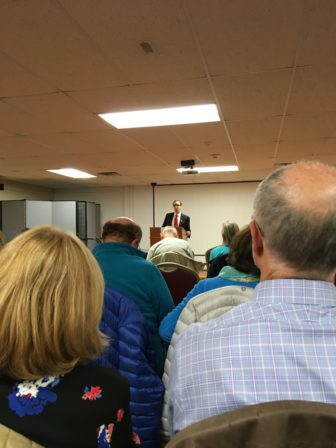 The Q&A session went in-depth about policy changes, mostly around single payer health care. Audience members wanted to know whether single payer could be possible, both politically and economically. Rocha agreed that single payer was an imperative for health equity, but stressed that single payer alone is not a panacea for health care. Without a concerted effort to empower patients, reduce overuse, invest in primary care, and regulate prices, single payer cannot function. It’s not every day that specialists praise primary care, but Rocha did not hold back in giving credit where it’s due. “The only way to address overuse and underuse is with a robust primary care system,” he said. Rocha is Director of Heart Failure Services at St. Luke’s Hospital and Director of Echocardiography Laboratory at Hawthorn Medical. He also leads the New Bedford Wellness Initiative, which offers nutrition, fitness, and preventive health services for New Bedford residents.